However dreadful the notoriously Europhile Financial Times may be, it is at least addressing - in its own derivative and lacklustre way – some of the realities attendant on leaving the EU. Thus, while the egregious Shanker Singham tells us that: "British goods will not be stopped at the border – they will enter the EU on the same WTO terms which China, the United States, and Australia currently use", we have in the Financial Times Paul Drechsler, president of the Confederation for British Industry, telling us that falling back on WTO rules would have a host of adverse effects on domestic and continental businesses. "Imagine", says Drechsler, "you're a small cosmetics firm in Stockport and shops in France sell your products. No deal? Without an EU office it's illegal for those French shops to sell your products. A loss for you and for them". Clearly, both Singham and Drechsler cannot be right, and in this instance (as in many more) it should come as no surprise that Drechsler is giving out the correct information. The third country that the UK will become on Brexit will no longer be able freely to export cosmetics to the EU in the way that it is doing currently. Such friction as there will be will arise from Regulation (EC) No 1223/2009 on cosmetic products - considered to be the "gold standard" in cosmetic regulation. It covers a huge range of products which include not only those obviously associated with the description, but stuff like toothpaste, toilet soaps, shampoo, talcum powder, shaving cream and sun tan lotion. The way the regulatory system works within this framework is that cosmetics may only placed on the market by a "responsible person". This must be "a legal or natural person" designated within the Community. Within the EU, that "responsible person" is usually the manufacturer. EU manufacturers, though, may designate, by written mandate, "a person established within the Community as the responsible person who shall accept in writing". But, where the manufacturers are established outside the Community, they are required to designate a person established within the Community as the "responsible person". They cannot hold this position. Imposed on "responsible persons" are key duties, including ensuring compliance with the regulations. Specifically, they must register their products on the Cosmetic Product Notification Portal, having carried out safety assessments for each cosmetic. The ingredients used have to be lodged on the Cosmetic ingredient database (Cosing) which facilitates the identification of cosmetics ingredients and their labelling. As it stands therefore, once we leave the EU, UK cosmetic manufacturers who are currently exporting to other Member States may no longer do so. They rely on "importers", who have to be "natural or legal persons" established within the Community. And just to confuse the issue, they may or may not be responsible persons. If this importer is not the manufacturer's own responsible person, the importers themselves become the responsible persons. They take the legal responsibility for placing the cosmetics from a third country (the UK) on the Community market. But, as with manufacturers, the importers may designate another "natural or legal person" within the Community to become the responsible person in their stead. Normally, that would be the manufacturer's responsible person, who cannot, of course, be the manufacturer. Basically, then, it is up to importers or their designated responsible persons to ensure compliance with EU law of the cosmetics they import. This is a layered process, starting with new products as they come on the market: Before placing them on the market for the first time, the responsible person has to ensure that the product has undergone a safety assessment, while complying with the prohibition on animal testing. While this assessment can be carried out by the manufacturer, it has to be performed by "a person in possession of a diploma or other evidence of formal qualifications awarded on completion of a university course of theoretical and practical study in pharmacy, toxicology, medicine or a similar discipline, or a course recognised as equivalent by a Member State". For ongoing production, the second layer kicks in: the responsible person must be able to demonstrate conformity with the harmonised standard. This is currently ISO 22716:2007: Cosmetics - Good Manufacturing Practices (GMP), ensuring that the product is produced safely and conforms fully with regulatory requirements. "Responsible persons" must also keep details of their distributors and, in the event of safety or other problems, must cooperate with the relevant national competent authorities, assisting with recalls where necessary. If they become aware of "serious undesirable effects", they must notify the competent authority of the Member State where the effect occurred, and then work with authorities to remedy the problems. Post-Brexit, all this has serious implications for EU wholesale buyers of UK cosmetics. Previously, for most of them, their legal status would be that of "distributor". That conferred only very limited liabilities and responsibilities. But, without anything else having changed, once the UK has left the EU, distributors in the EU would become, by default, "responsible persons". As such, they would acquire additional burdens and responsibilities – unless they are able to offload them. What this boils down to is that Drechsler has it right. As a UK cosmetic manufacturer, in order to do business in the EU, you are going to need an EU office to provide for the responsible person requirement. It's not exactly illegal not to provide one but, in practical terms, if you don't, you're not going to do much business. This, of course, adds cost and complications to selling in the EU – except for those companies which already have European offices. However, if free movement of persons is ended by the UK, and the Member States retaliate and refuse working permits to UK citizens, staffing those offices might prove a little more complicated than it is now. And there are more complications to come. Importation, post-Brexit will mean submitting consignments for customs clearance. This is not only a paper exercise. At the borders, some degree of physical inspection and testing is also involved. National customs authorities in the EU have the duty to determine whether specific consignments should be inspected and tested – on the basis of risk assessment. A significant factor which will be taken into account is the market surveillance system in the exporting country. Also important will be the degree to which it interacts with the EU system (set out in Regulation (EC) No 765/2008 T, of which the UK will no longer be a part) – both in supplying information and reacting to information generated by Member States and EU agencies. Currently, the UK national system is fully integrated into the Community market surveillance network, working though the Platform of European Market Surveillance Authorities for Cosmetics (PEMSAC). It cooperates fully on distribution of data relating to Serious Undesirable Effects (SUE). Through the EU, the UK involvement extends to the international level, with the EU organising bilateral cooperation with the US and China. In respect of the US, it is in close contact with the USFDA, relying on a formal agreement on confidentiality, in place since 2 July 2007. The European Commission is also in regular contact with Chinese authorities, in particular the State General Administration for Quality Supervision and Inspection and Quarantine (AQSIQ), the National Health and Family Planning Commission (former Ministry of Health, MoH), and the China Food and Drug Administration (CFDA) (former SFDA). The Commission concluded a cooperation framework with AQSIQ on 18 September 2006 and with CFDA (former SFDA) on 23 October 2007. And this cooperation is paying off: China has recently seized significant quantities of counterfeit goods. As long as it has been a Member State, the UK has been able to tap into all these arrangements, something which is becoming increasingly necessary. The cosmetics industry is plagued by counterfeiting. 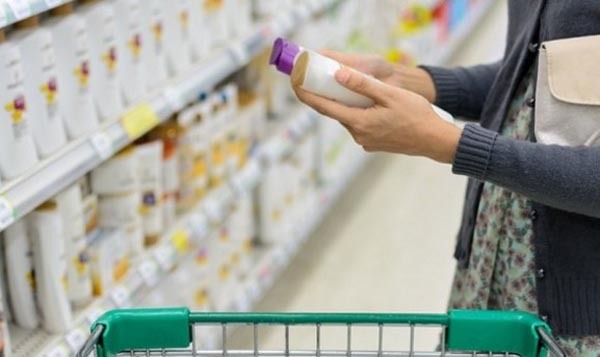 Many substandard and some dangerous products are finding their way onto the market, this activity said to be costing legitimate manufacturers more than £300 million a year. Without a trade deal in place with the EU, which makes specific provision for cooperation on cosmetic monitoring, and allows for mutual recognition of market surveillance systems, products from the UK could fall into the high risk category for customs purposes. As such, they will be subject to enhanced inspection rates. Increasingly, exporters are being asked to provide Certificates of Free Sale, documents produced by the competent authorities of the exporting nations, which attest that the goods in question are freely sold in the country of origin. If there are no specific mutual recognition provisions on cosmetics in any free trade agreement, this is one of the procedural devices to which exporters may have to resort in order to secure customs clearance. Not only does this have cost implications for exporters and importers alike, it builds unreliability into the supply chain. Clearance – depending on the level of inspection and testing required – may take from one to five days, with no means of predicting how long it will actually take. All of this, of course, is way beyond the reach of any Great Repeal Bill. But, for UK domestic regulation, there will have to be some changes. EU law has been adopted onto the UK statute book, via the Cosmetic Products (Safety) Regulations 2008, and multiple amendments. So faithfully have these regulations replicated EU requirements that, ironically, if they were kept in force, post-Brexit, the effect would be to prohibit the marketing of cosmetics produced by UK manufacturers, even in the UK. Some careful editing will be required to ensure that trade within the UK can continue. The drafting team may also have to look at the The Cosmetic Products Enforcement Regulations 2013, where they impose a duty on UK enforcement authorities "to enforce the EU Cosmetics Regulation". That hardly fits with Mrs May's idea of taking back control. That said, there is nothing the UK Government can do, by way of legislative amendments, that will afford access to the markets of the EU Member States. We do not even have the luxury of trading on the same terms as China and the United States – and Australia is not a prolific exporter of cosmetics to the EU. That makes Shanker Singham doubly wrong. Of far more significance than his ill-informed assertions, though, is the prospect of the UK government – and the Brexit team – having to deal with yet another sector. And nor can the Government afford to ignore it. Worth in 2015 (see download) about £9 billion, exports total about £3 billion annually with £2 billion going to the EU. Our top three export markets are Ireland, German and Belgium, with the US coming a poor fourth. It will need more than cosmetic changes to keep this market buoyant, adding further to the load that the UK Government needs to process, all in the space of those two short years.